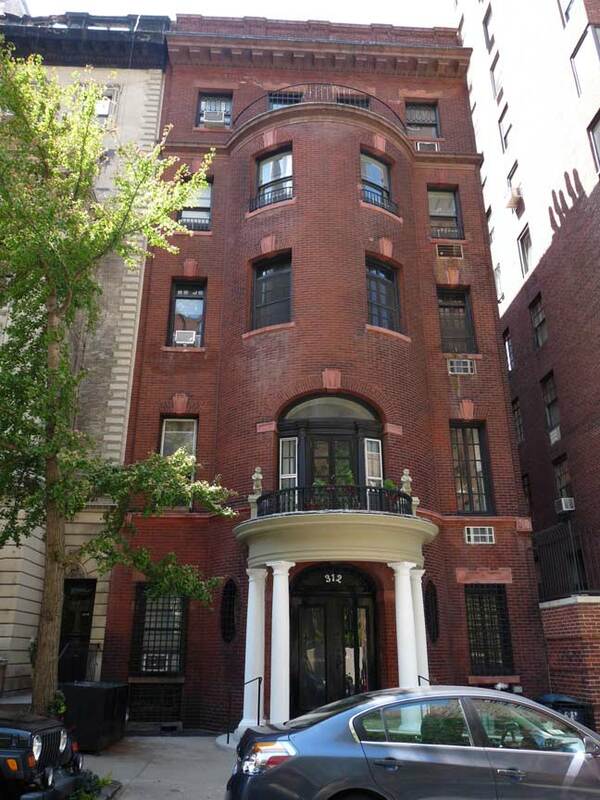 I was veering west on West 73rd Street on my way to Riverside Park, nearly insensate from the unrelenting heat, when I came across an unusual building — I use that word since it seemed much more sparely and non-ostentatiously built. I also noticed the large bay in the front, a conceit that was also used at the entrance portico decorated by four Doric columns. Even the double front door is curved! Daytonian in Manhattan had, of course, been there first, fortunately, and from his piece on this building I found that it was built in 1898 by prolific architect C.P. H. Gilbert for a former Confederate loyalist, Colonel William Lee Trenholm, who had been Jefferson Davis’ Secretary of the Treasury. Later, Grover Cleveland held no grudges and appointed him to the post of Controller of the Currency. By 1898, he was in private business. The Colonel didn’t enjoy his new home for long, as he died of pneumonia in 1901 and his wife Kate moved back to her old home base in Charleston, SC. The building has been divided into three and then seven apartments over the years, but the interior lavish appointments have largely been maintained. What really attracted me to the building? 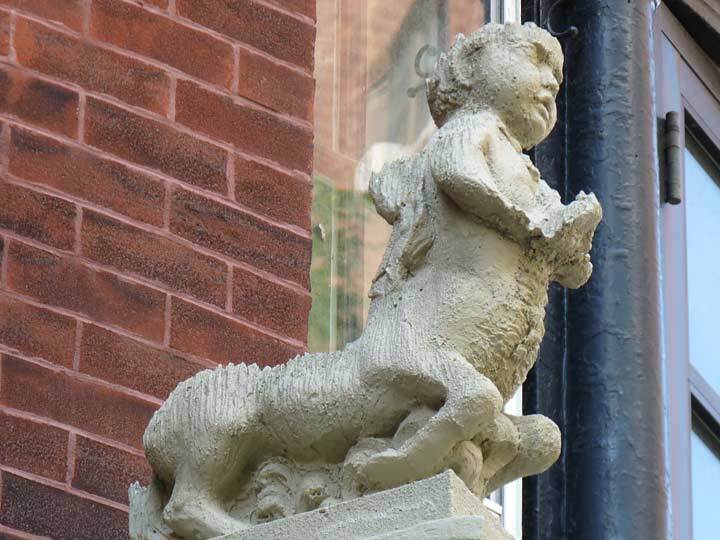 Well, there are a pair of hybrid cherub/centaur creatures on the second floor balcony, still recognizable though weathered over the years. This kind of thing doesn’t turn up in the myths, but then again, all centaurs were little once. The second Confederate Secretary of the Treasury was George A. Trenholm, a businessman and banker who died at Charleston SC in 1876. Colonel William L. may have been his son. is the usually reliable Daytonian wrong? Unfortunately, these don’t confirm the familial link between the two, but I think its probable. George’s father was named William. 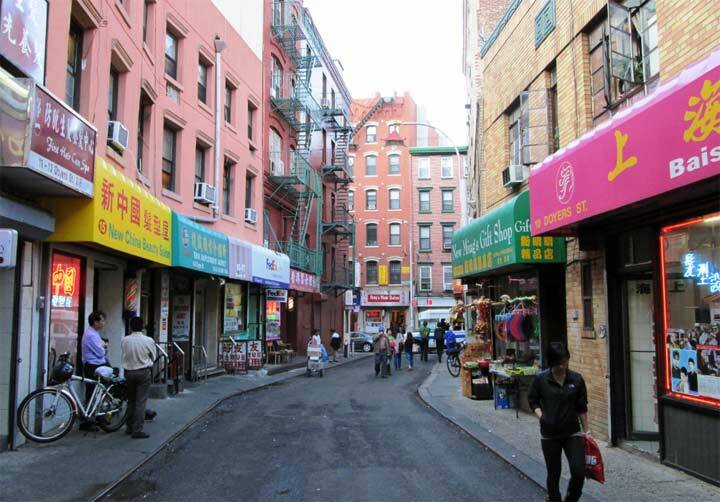 FNY is a terrific website! Finding a nit to pick is a singular achievement! Wikipedia says George A Trenholm was the Confederate Secretary of the Treasury.